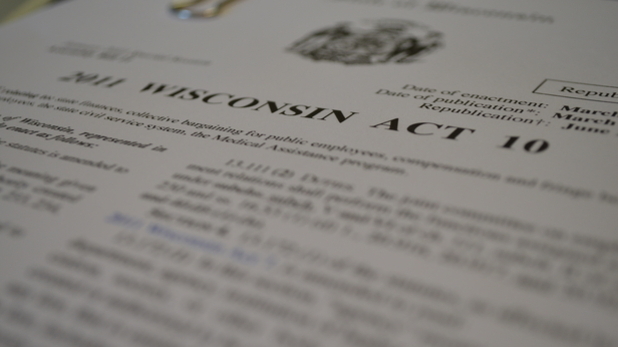 [Madison, Wisc…] February 11, 2011 was a remarkable day for Wisconsin. 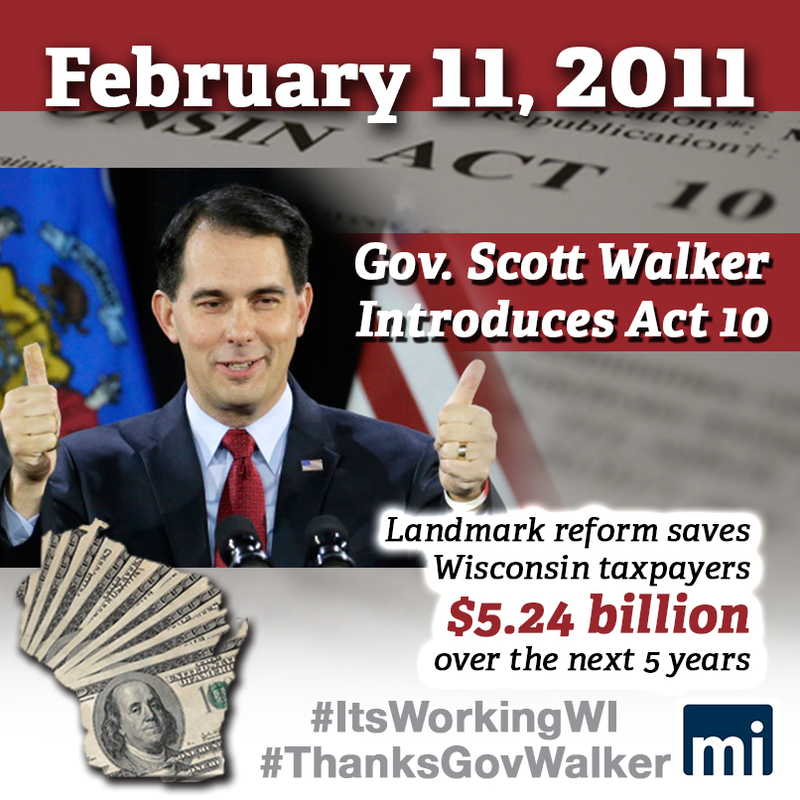 Five years ago today, Governor Walker began his efforts to reform collective bargaining and put Wisconsin taxpayers back in charge of their government. Five years after Gov. Walker introduced it, Act 10 is still the gift that keeps on giving. The MacIver Institute analysis found that the Medford School District recently realized an 11 percent decrease in the cost of its health insurance business by opening it to competitive bidding. Medford officials were able to make that cost-saving choice because of Act 10. Similarly, the Appleton Area School District switched health insurance providers last October and local taxpayers will see up to $3 million in savings in the first year alone. “Taxpayer savings of $5.2 billion is a staggering number that’s so large it’s difficult to comprehend. But make no mistake about it, Gov. Walker and the Republican legislature not only saved Wisconsinites an incomprehensible amount of money but they also fundamentally changed government in Wisconsin forever,” said Brett Healy, president of the MacIver Institute. But what’s even more significant than the total is the distribution of savings. Units of government that saved big in the wake of Act 10 range from the smallest villages and townships to the largest agencies in state government. 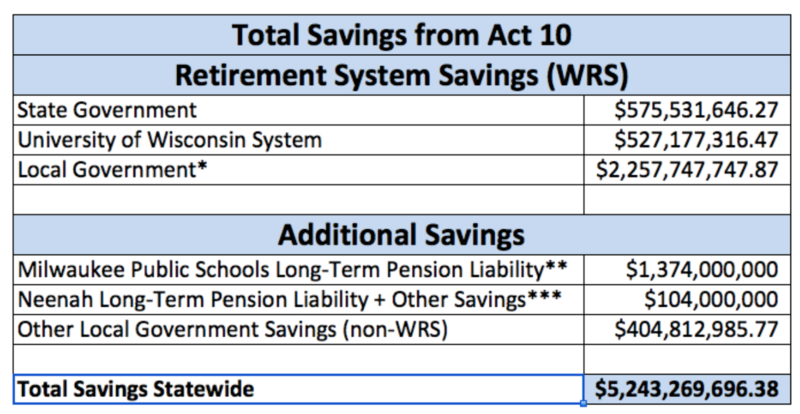 On its own, the UW System saved $527 million in retirement costs alone. “That’s an incredible statement about the success of Act 10,” Healy said. The MacIver Institute’s analysis found that over 493 different units of government in Wisconsin have saved over $1 million since 2011. Over 100 different units of government have saved over $6 million and almost 20 units have saved more than $20 million since 2011. The new total of $5.24 billion in taxpayer savings is why the MacIver Institute is celebrating Feb. 11-March 11, the period between Act 10’s introduction and the day it was signed by Gov. Walker, as Wisconsin Taxpayer Appreciation Month. “Act 10 refocused lawmakers on what should always be their top priority: the Wisconsin taxpayer, who generously gives their hard-earned money to fund this government,” Healy said.